WITH more time to prepare, Magnolia is looking to play much better against Rain or Shine when the two teams collide in Game Two of the PBA Philippine Cup semifinals Sunday at the Smart Araneta Coliseum. Coach Chito Victolero took the blame for the Hotshots' 84-77 loss in the series opener as he failed to make the team ready outright for the best-of-seven series after coming off a do-or-die encounter against Barangay Ginebra to advance. Victolero admitted being caught by surprise by Rain or Shine counterpart Caloy Garcia. "Medyo may ilang plays lang na bago (Rain or Shine) na hindi namin na-scout," he said. "But it’s on me. Kailangan ma-prepare ko ng mas maayos yung mga players ko." Victolero noted the contributions the Elasto Painters had gotten from their bench, specifically mentioning Kris Rosales, Rey Nambatac, and rookie Javee Mocon, who led Rain or Shine with 15 points. 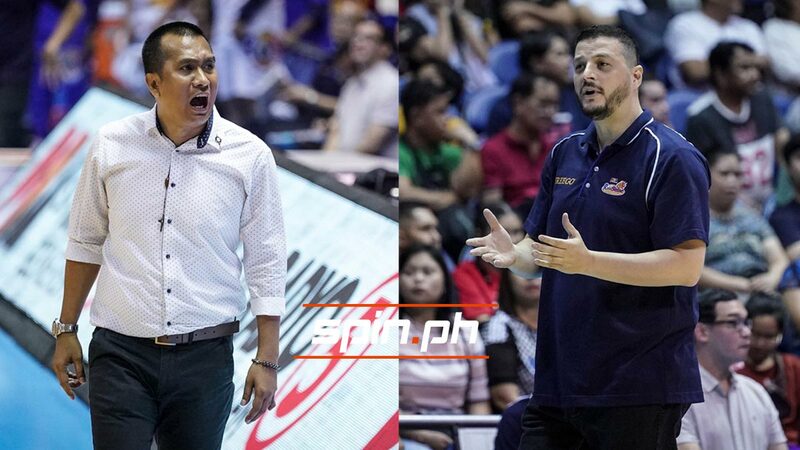 "May mga players kaming hindi napag-handaan," admitted the champion coach. "But we will be better next time." Although his team drew first blood, Garcia appeared concerned about the health of his players going to the 6:30 p.m. game at the Smart Araneta Coliseum. Starting guard Maverick Ahanmisi sprained his ankle early in Game 1 and was no longer fielded in, while back-up big man Norbert Torres is also playing hurt. "Right now I'm just worried about the health of the players," said Garcia, who just conducted a light practice Saturday heading into Game Two. Of course, that's outside of the anticipated fightback he expects from the Hotshots themselves. "Knowing coach Chito, we know they're going to make a good adjustment in Game 2," said Garcia.